Increases the pallet count, while offering many more pick faces than traditional high density storage systems like drive-in. 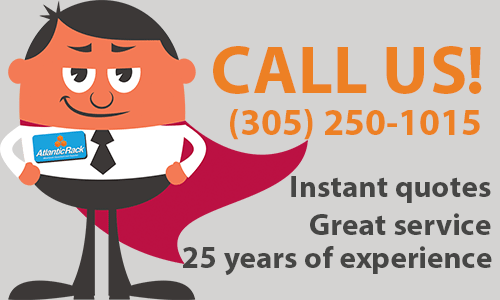 The best mix of high density storage with selectivity. Applies when the average number of pallets per product exceeds five. Push Back Rack storage system is the perfect solution for the storage of same SKU pallets. It permits both high density storage and fast access using a standard fork truck. LIFO (Last In First Out) storage of pallets up to 6 deep using gravity keeping the picking face accessible at all times. Today’s challenge in warehouse racking is to store an ever increasing number of pallets, with an ever increasing number of products in a fixed storage space. These two factors pull in opposite directions. 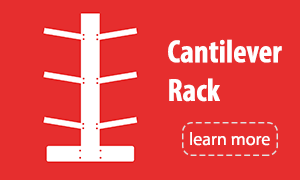 Push back pallet rack storage system increases the pallet count, while offering many more pick faces than traditional high density storage systems like drive-in. Each push back lane is equipped with a pair of inclined rails and a series of nested carts (i.e., 4 carts in a 5 deep system). The first pallet is placed by the lift truck on the top cart. The operator loads the second pallet by pushing back the first load and placing it on the next exposed cart. Pallets three and four are loaded similarly. The last pallet is placed on the rails themselves. When removing product, the lift truck takes out the front pallet allowing the pallets on carts behind it to roll gently to the front of the rack. 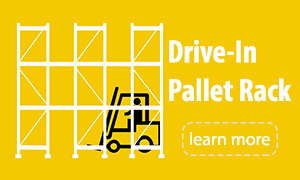 When Does Push Back Pallet Rack System Apply? 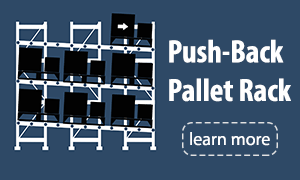 When the average number of pallets per product exceeds five, a pushback rack system is justified. The higher the number, the deeper the lane is feasible (usually 3 lanes per product minimum). These multiple lanes allow rotation to achieve first-in first-out (FIFO). 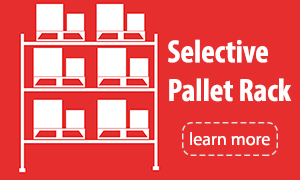 Steadiflo pushback rack systems can be configured to attain up to 100% more pallets stored than standard pallet racking and equal or greater increases over poorly occupied drive-in or floor storage configurations.